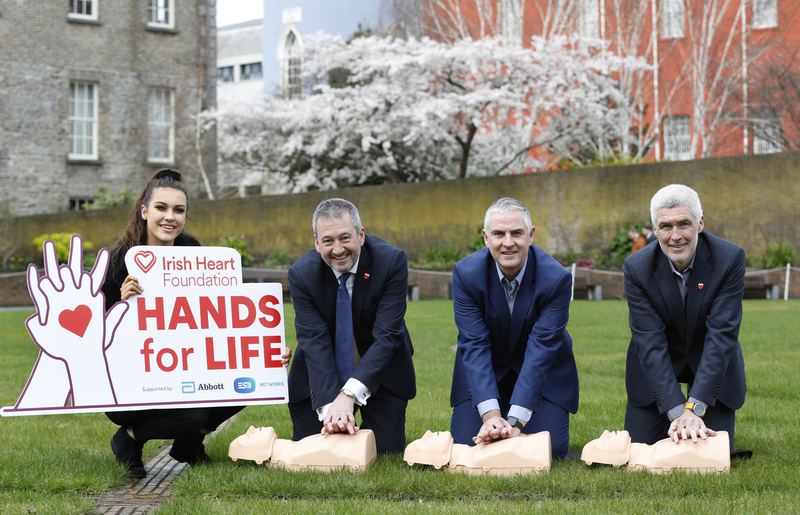 The Irish Heart Foundation has this week (Tuesday 19th March) launched a new free community CPR training programme, Hands for Life. The programme, which is supported by Abbott and ESB Networks, was launched in Dublin by heroic nurse Aoife McGivney who recently intervened and saved the life of a bus driver who was suffering a cardiac emergency. Hands for Life will offer free CPR training to 100,000 people in local communities throughout Ireland over the next two years. Hands for Life training courses are free and open to all adults aged 18 and over. To find a course near you, visit www.HandsForLife.ie.